July 2015 - Wylie & Co. I pin. A lot. I pin for Wylie & Company and many other brands. I also pin for myself. So I spend a lot of time on Pinterest, but I still don’t know everything there is to know. So when I figured out that I could move pins on a board, I was very excited! 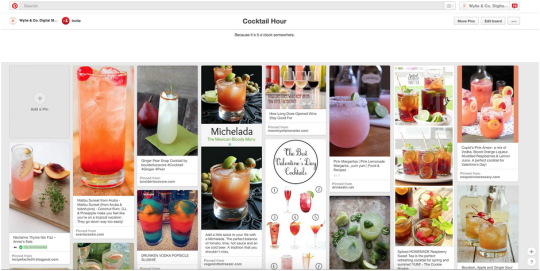 Let’s say you have a pin that’s doing really well on one of your Pinterest boards, however you’ve pinned so many pins above it that people have to scroll way down to find it. You want it at the top, so it’s the first pin people see. That would be a great reason to move a pin. Or maybe you have a pin that you are trying to get to go (at least a little) viral. Another good reason to move the pin to the top. It’s SUPER simple and takes all of 1 minute or so to do. Go to the board you want to move pins on. 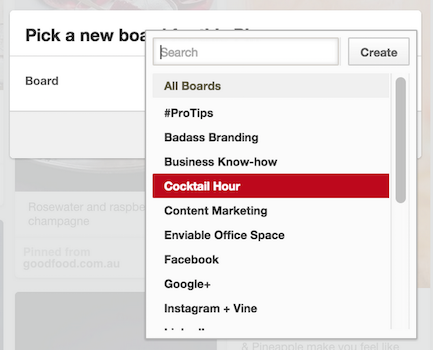 I’m using our Cocktail Hour board. Why? Because cocktails! 2. Find the pin that you want to move. I chose this one – Malibu Sunset Cocktail because the description says it will remind you of being on a tropical vacation, which sounds very appealing. 3. Click the button that says “Move Pins” at the top right of the screen. 4. Now find the pin you want to move and click on the box so a checkmark appears. 5. Now a box will pop up asking which board you’d like to move the pin to. Choose the same board. 6. Boom! Your pin now appears at the top of the board. Now there may be an easier way to do this, and if there is, I’d love to hear it!